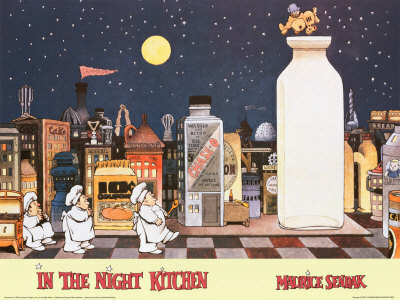 Zut alors, here it is almost midnight and I am making white sauce. I am a hard-core cook! I got myself in over my head today which is why I was still cooking at midnight. I am trying to get things on an even keel so that through the week I can get in work on my book at night, I mean in the evening, because I am at this critical juncture where I have to work, I have to get work done. And too often cooking derails me. I just spend too much time looking for recipes and fussing over things and packing lunches, etc. So this week, I am actually doing Martha Stewart Everyday Food Grocery Bag. My friend Art did it once. Art said it was fun. He said, "You'd come home and say, OK, what's for dinner tonight?" I am not doing the January issue, the latest one. In that issue the Grocery Bag is all vegetarian and while I love vegetarian cooking, you cannot write the authorized biography of Leonard Pennario and be vegetarian. It would be too un-Pennario-like. He would sneer at you. No sirree, you must eat red meat. Which, there was the Grocery Bag from Nov. 2010 that fit the bill. You make a Roast Beef with Butternut Squash, more or less a pot roast, and then black beans with sausage, and then roast chicken, and then butternut squash risotto, and the week winds up on Friday with pasta with greens. This is all very much to my liking. Plus I had half the stuff I needed and all I had to do was pick up the other half, which I did today at Tops and Budways. The white sauce was not for this. The white sauce was for a cauliflower soup I am making for my mom. Well, and for me, yes. You mix the white sauce in with the soup and you would swear that soup was full of cheese and cream. Yet it is not! This is the best cauliflower soup recipe I have ever found. 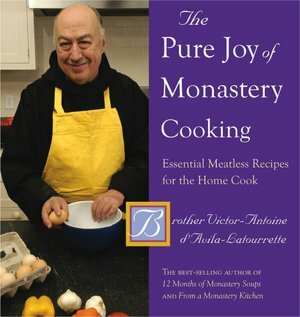 It is by that priest who writes the cookbooks I love, Father Victoire-Antoine d'Avila Latourrette. I wonder if he is still around, you know? It seems every priest I like gets taken away. Anyway. White sauce, done. Soup, done. Grocery Bag shopping, done. And so to bed. To sleep, perchance to dream of food.